The Youth Peace Initiative (YPI) was founded to give youth in conflict areas a chance to participate in peace processes. While people across the world are divided, younger generations are often not included in the efforts to shape their shared future. Therefore, the founding interest of YPI has been to include younger generations in the decisions of the present which affect their future, in order to create or maintain a sustainable peace. 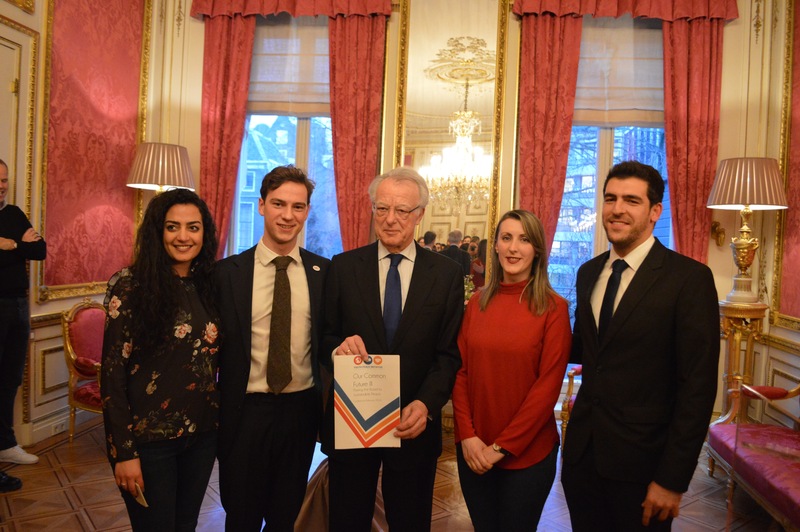 Established as a Foundation on 18 March 2014 in The Hague, YPI started with a board of students with an avid interest in the situation of the Middle East who felt this lack of inclusiveness needed to change. Over the years the organization and its initiatives continued to grow by hosting conferences, lectures and activities to bring young people from these areas together and to promote shared understanding and a common vision. The first conference took place in that same year of 2014 by bringing together Israeli and Palestinian youth to discuss a common ground. Since then YPI has worked hard to organize a second and third conference in 2016 and 2018 and continues to support its delegations in their home region. Throughout the years YPI organized several lecture series to encourage international youth in the Netherlands to debate conflict and peace. In 2017, another youth initiative was started with the launch of a conference on the Future of Syria, bringing together young Syrians that are currently living in Europe. The Youth Peace Initiative continues to include youth from conflict areas in peace processes to give them a voice in their shared future.